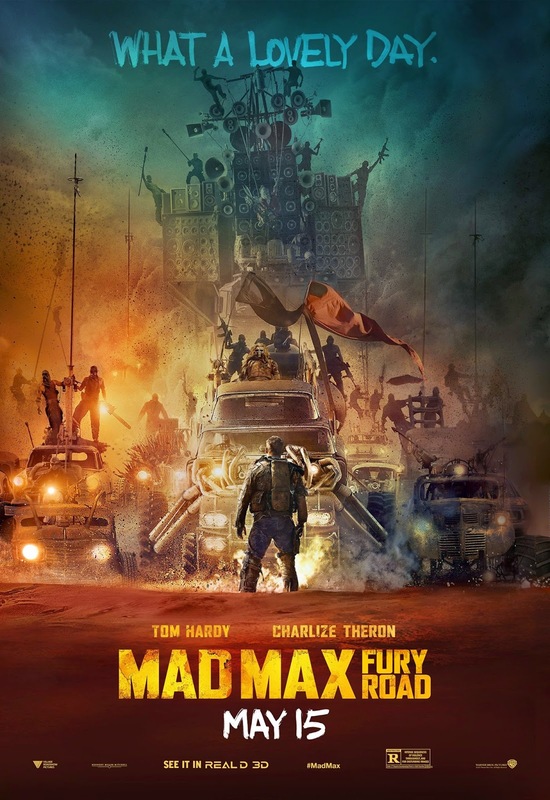 This week, I strapped on my dirtiest leathers and headed out into the desert to check out Mad Max: Fury Road (2015) starring Tom Hardy and Charlize Theron. It's directed by George Miller, who directed the three previous films in this franchise. The new Mad Max: Fury Road is a pretty simple tale. 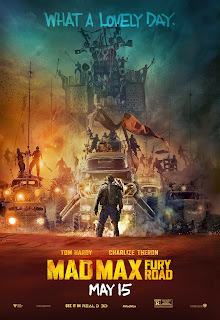 Imperator Furiosa (Theron) hijacks the "War Rig" to smuggle out a bevy of beauties that are being used as broodmares for the leader of the War Boys faction, one Immortan Joe (Hugh Keays-Byrne who also played the lead villain in the original Mad Max (1979)). She intends to take them to the "green land" that she remembers from her youth. Joe, not wanting to be without his harem, gives chase. Max (Tom Hardy taking over for Mel Gibson) finds himself caught in the middle of the conflict and eventually having to choose a side. I'm sure you can guess which one. And that, friends and neighbours, is it. If you're looking for a movie with deep, layered plot points, fully fleshed-out characters with complete backstories or even a bit of dialogue and exposition, you've come to the wrong place. If you're looking for a 2 hour car chase movie with some of the most spectacular action sequences ever put on film, grab some popcorn, sit back and enjoy the ride. Not all is well, though. I couldn't call myself The Bitter Critic if I didn't find something to nitpick about. Tom Hardy isn't given much to work with here as far as character development is concerend. He does the best he can with what he has, but he's the least engaging of the three major stars. Charlize Theron and even Nicholas Hoult are for more intriguing and even seem to get more screen time (and definitely get more dialogue). I didn't hate Hardy in this role, I just didn't love him in it. Since it's called Mad Max, I expected Max to take a more central role. He doesn't. This movie could've been called Imperator Furiosa: Fury Road, but that likely wouldn't have sold as many tickets. Still, these pickings are small. I highly recommend you go to the biggest and loudest movie theatre you can find to watch this movie. I even enjoyed the 3D aspect of it, which is something I didn't think I would ever say.